It's been a big week for the City of Los Angeles. In fact, I don't think I'm overstating things by saying it has been historic. I'm proud to say that this week the City Council voted overwhelmingly to increase the citywide minimum wage and lift 800,000 people out of poverty. Just two days later, we unanimously approved an $8.6 billion city budget that restores critical neighborhood services and also sets aside hundreds of millions of dollars to protect our city from any future economic downturn. These are monumental achievements that will positively impact so many people's lives. On Tuesday, the City Council voted 14-1 to raise the minimum wage in Los Angeles to $15.00 an hour by 2020 for employees of large businesses and getting there one year later for small businesses, bringing all low-wage workers to $15.00 by 2021. LA became the largest city in the country to raise the wage. It's a big step forward for our city and it shows Los Angeles is leading the nation in tackling the problem of income inequality. Click here to watch what I had to say before the vote. I know how hard it is to get by on low-wage work. My mother raised me while working a minimum wage job at a restaurant in the San Fernando Valley. Her sacrifices allowed me to be the first of my family to go to college. It was really tough to get by then and it's gotten a lot worse over the last few decades. Los Angeles has become one of the most unaffordable cities in the country. Our wages have not kept pace with the cost of food, the cost of housing and the cost of transportation. More than 18 percent of Angelenos live in poverty and close to 40 percent of our population makes under $15 an hour today. Our great city is home to the highest number of urban poor in the country-and it's unacceptable. Raising the minimum wage will help close that gap and bring more people into the middle class. We didn't do this blindly and we don't take its possible consequences lightly. Over the last nine months, the City Council's Economic Development Committee-on which I serve as vice chair-studied reports from three different economists and had them peer reviewed, heard from close to 600 members of the public and held meetings across the city. In the end, I think we did the right thing. We were able to take action to lift up hardworking Angelenos and also mitigate the impact on businesses. Because of my proposal to slow down the phase-in period for small businesses, close to 89 percent of businesses in the city will get an extra year to prepare and plan for the gradual increase. That means, the first increase these businesses will see is in July 2017. Here are the wage schedules. We're going to continue to study the issue and closely review its impacts on working families and businesses, which are the engine of our growing economy. I hope you'll agree with me that this is a good policy that will help our city, our residents and our economy. Click here to watch me discuss the issue on MSNBC. Let me know what you think. 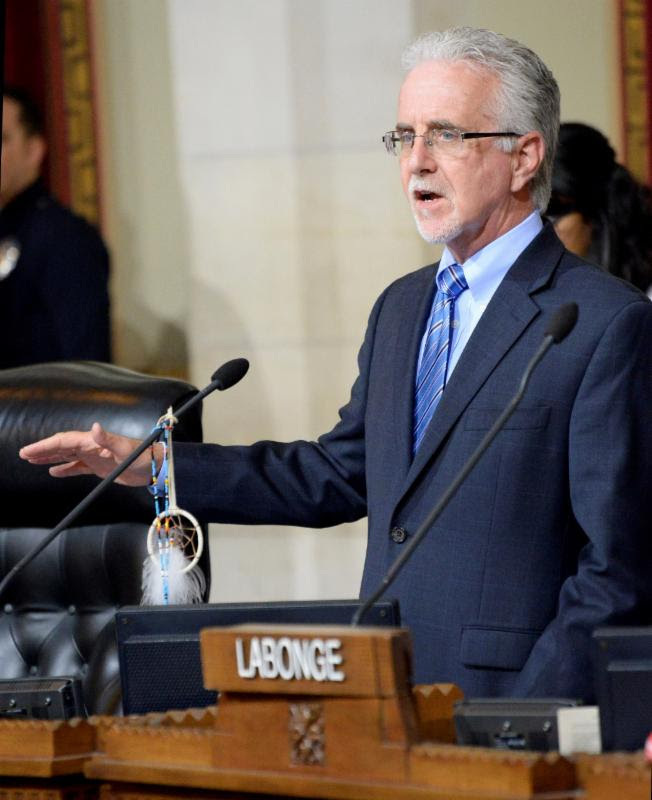 Email me at paul.krekorian@lacity.orgor call 213.473.7002.